We can produce a wide range of custom sew in labels to suit your requirements, our process allows us to print in full colour which is ideal for your logo and we also have a range of 10+ fonts, 20+ sold print colours and 50+optional motifs should you choose. We will work with you to produce something that is special, even if you don’t already have your own logo it’s no problem and we always send you a design preview before producing anything. All of our custom sew in labels are manufactured at our Cambridge UK production facility using a in house bespoke process that allows us to produce labels that are not only highly personalised but incredibly durable, fade free and longer lasting compared to other similar alternatives. Whether it’s your logo or just a simple name in black text the print quality is highly detailed, crisp and vivid. 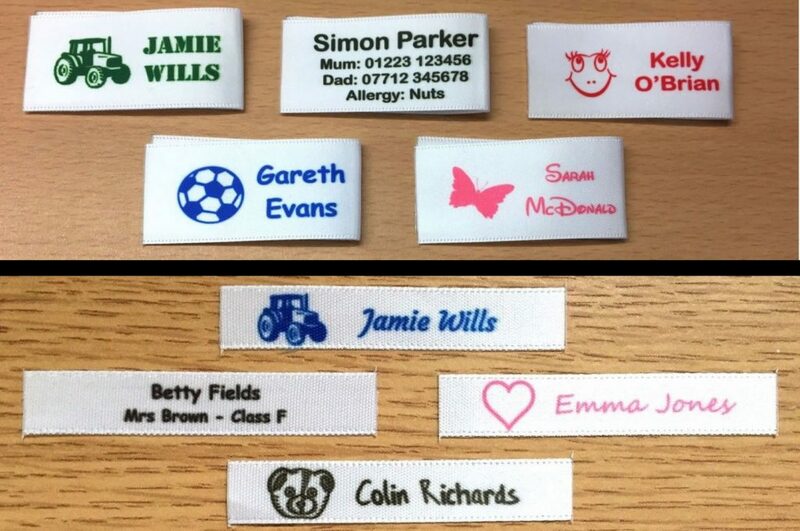 Labels can be produced in a variety of sizes and we have sold many thousands of custom sew in labels for all types of customers and their requirements, if you would like to find out more please visit one of the links below.